Lutie RPG Clicker is an extremely cute but rather byzantine RPG Clicker game with very high quality art. It’s a bit hard to keep track of which Guardians have which skills in the game itself, so I decided to make a guide starting with a searchable table of Guardians so you know which ones have the Skills you’d like to upgrade. As always with my guides, feel free to post in the comments if you have any questions or info to give. I’ll expand this guide if I get more important information of if lots of people want more. I’m a fair ways into Lutie RPG Clicker myself (stage 1,000) so ask anything you like. 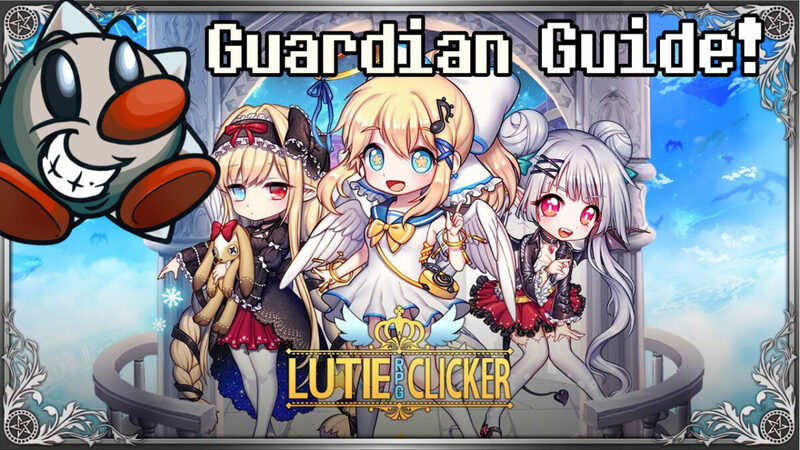 Lutie RPG Clicker is the story of an angel in the middle of a great war after Ragnarok. The story is unlocked as you progress the game, though the latest bits of the story are still only in Korean. It plays a fair deal like Politicats and Star Tap, a bit more complicated twist on the usual prestige-focused Idle Game template. Almost A Hero is an RPG style Clicker/Idle game that’s a lot heavier on the RPG than most idle games. You lead a team of up to 5 (almost) heroes who have major flaws but interesting gameplay mechanics as you try to raise them from an unruly crowd of useless idiots to the real heroes every game needs. 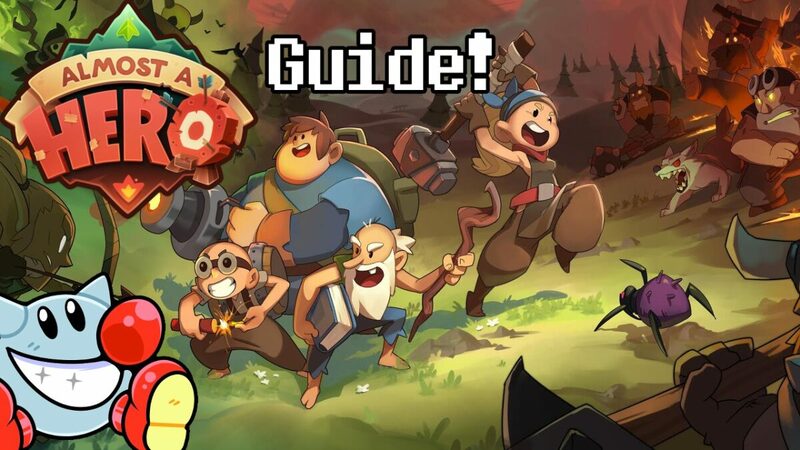 I’ve had a ton of fun with this one so I wanted to start a guide even though Almost A Hero is quite complex, so it’s definitely a work in progress! If you have any questions or info to share please post them in the comments. There will be major updates to this guide in the coming days/weeks, see the Updates section to keep track of significant changes. You can help me prioritize my updates by letting me know which sections/info you want to see first! Dig Station is a short but fun Idle/Clicker game that has a proper ending (unlike most) and almost no push for advertising and no IAP. It’s also got a lovely, grim atmosphere and fittingly gritty pixel art. You’ll likely be done with it in a few days at the very most, but it’s a fun break. Note this guide is for App Version 8, there are many resources out there for older versions of the game. 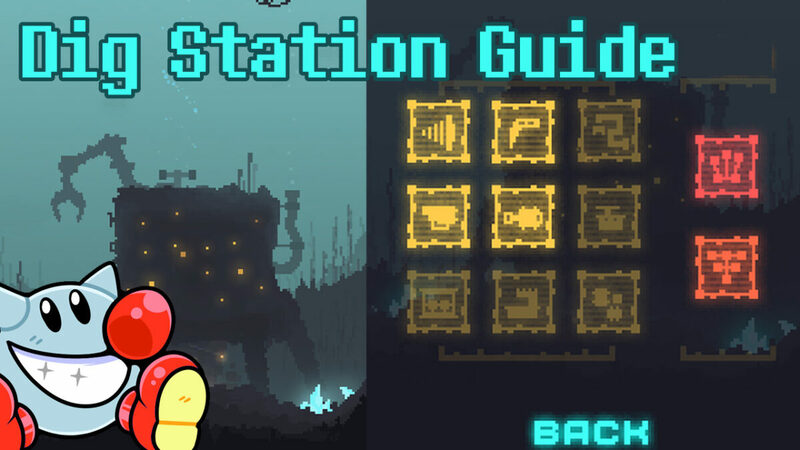 In Dig Station you take the role of a small drilling drone sent to an alien planet. Falling deep into the ocean, you must drill up all the Resources you can to augment your production capacity and go on Adventures™! Here you’ll find a brief walkthrough of the main mechanics and how to make the most of what the game gives you. As always, feel free to comment with any questions!